Sonia Alberti, mother to Camilla 9 years old and Lorenzo 6 years old, lives apart from her husband Walter. He attempts the impossible in order to get back with her, but his attempt is merely a move to take away her custody of the children, availing of the complicity of Ludmilla, the Moldavian babysitter, and his lover. Sonia discovers everything and decides to give him up for good. Determined at all costs to regain his children, Walter drags Sonia into court in order to demonstrate her mental and economic inability to bring up her children. Walter corrupts the judges and experts in order to achieve his goal as well but without success. Ludmilla who in the meantime has stolen their passports, and takes them to Moldova. Sonia reports Walter without success, therefore she sets out for Moldova determined to get her children back. Initially she goes down the legal routes, persuading the Italian Ambassador to provide her with the collaboration of the Government, only to be thrown out of Moldova. Naturally, the judge has been corrupted by Walter who in the meantime has become a local Mafia boss. 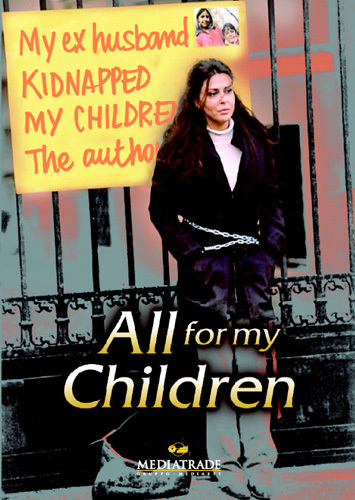 Willing to try any thing in order to regain her children, Sonia organizes the kidnapping of the children with a detective and takes refuge in the Italian Embassy. But even here she is not safe. escapes onboard a lorry headed for Italy. between her and Walter, who is finally reached by the police and arrested.